The region of Himachal Pradesh was called 'Deva Bhoomi ' (the land of the gods). From the early period of its history it was inhabited by tribes like the Koilis, Halis, Dagis, Dhaugris, Dasa, Khasas, Kinnars and Kirats. The Aryan influence in this area of India dates to the period before the Rigveda. 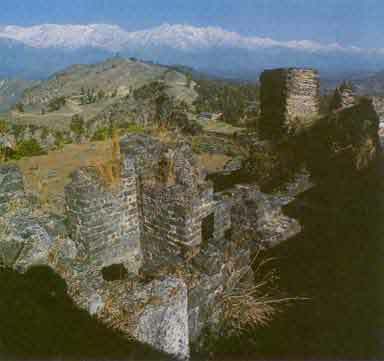 Sankar Varma, the king of Kashmir exercised his influence over regions of Himachal Pradesh in about 883 AD. This region witnessed the invasion of Mahmud of Ghazni in 1009AD, who during that period invaded and looted the wealth from the temples in the North of India. In about 1043AD the Rajputs ruled over this territory. Known for its vibrant and exquisite natural scenery it received the royal patronage of the Mughal rulers who erected several works of art as an appreciation of this land. In 1773 AD the Rajputs under Sansar Chand possessed this region, till the attack by Maharaja Ranjit Singh in 1804 which crushed the Rajput power here. The Gurkhas who migrated from Nepal captured this area and devastated it. In about the early 19th century the British exercised their influence and annexed the areas of Shimla after the Gurkha War of 1815-16. It became a centrally administered territory in 1948 with the integration of 31 hill states and received additional regions added to it in 1966.